Key stopped working? Flashlight is out? Need batteries? We have several types made by the top brand Energizer! 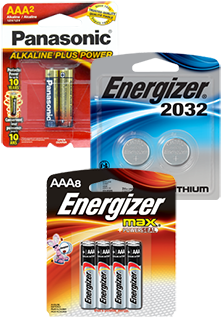 Come and check out our variety of AA, AAA, 9Volt, and key batteries. We Have The Lowest Prices In The Nation ~ GUARANTEED!